Very Good. 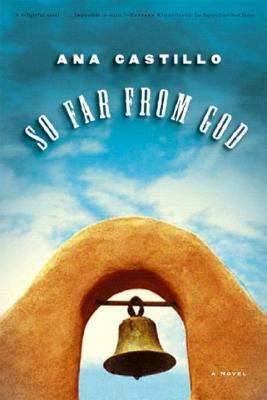 So Far from God by Castillo, Ana, 1994-06-01. 256 p.
This book was so much fun to read. It was funny and sad, sometimes at the same time. I instantly connected with these women who made my crazy life look dull and uninteresting in comparison to their mystical, magical and painfully ordinary lives. I loved the very accurate references to northern New Mexico. I don't speak Spanish and probably missed some of those more subtle cultural connections but it was still a wonderful book that I had trouble putting down. I can't wait to read more of Ana Castillo's work!